The American Civil War finally came to an end 150 years ago today, on April 9, 1865. Reflecting on this moves my heart in a profound way, partly because of the sacrifice of prayer in my family – who were formerly slaves. I believe their prayers led personally to my freedom, and nationally delivered a nation from God’s judgment. It’s a testimony of great spiritual inheritance, a story so large it’s difficult to share. It begins with a 200 year-old black kettle pot, used by my Christian slave forbearers in Lake Providence, Louisiana. While used for cooking and washing clothes during the day, this kettle was secretly used for prayer. Forbidden to pray by their slave master, my ancestors were beaten unmercifully if found doing so. However, in spite of their master’s cruelty, and because of their love for Jesus, they prayed anyway. 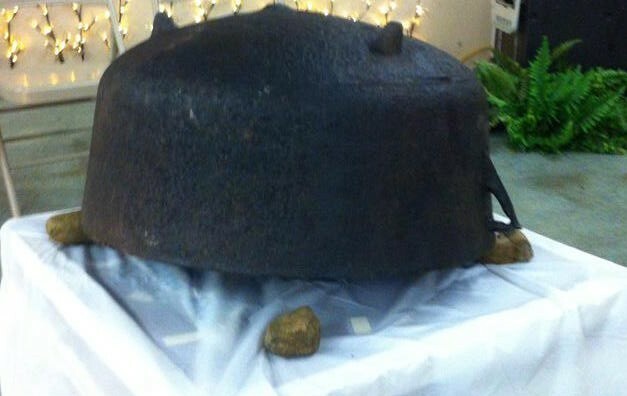 At night, sneaking into a barn, they carried this cast iron cooking pot into their secret prayer meeting. As others looked out, those inside prayed. Turning this pot upside-down on the barn floor, they propped it up with rocks – suspending the pot a few inches above the ground. Then, while lying prostrate or kneeling on the ground, they prayed in a whisper underneath the kettle to muffle their voices. The story passed down with the kettle is that they were risking their lives to pray for ensuing generations. One day, freedom did come. An unknown teenage girl decided to keep this pot, and pass it down along with the story of how others prayed for our freedom. She passed the story and the kettle down to Harriet Lockett; who then passed it on to Nora Lockett, who then passed it on to William Ford Sr., then to William Ford Jr. – who then gave it to me, William Ford III. 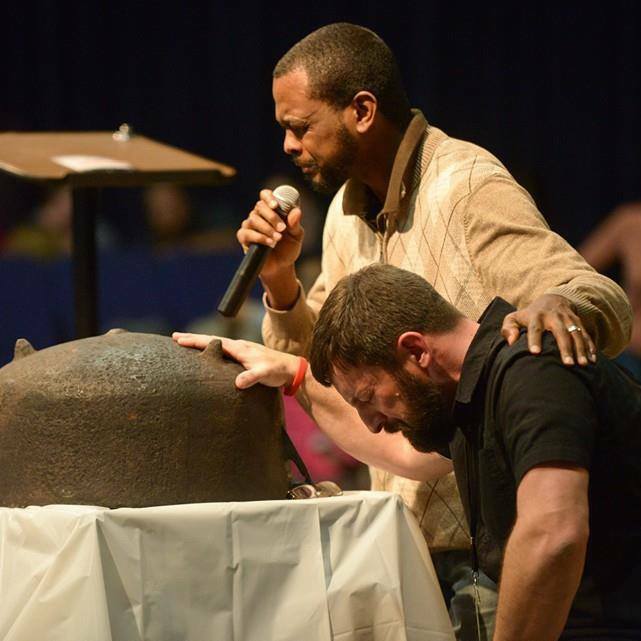 This “prayer bowl” caught muffled prayers on earth, just as bowls in heaven caught their prayers as incense. Though my forefathers only used this kettle as an acoustic means to keep them from being heard, symbolically – probably without their knowing it – this pot became their bowl of intercession. Another interesting dynamic to note: in Revelation 8 when these bowls are released, one of the manifestations upon earth is voices. White Christian abolitionists/revivalists like Francis Asbury and Charles Finney became voices for the voiceless. Their sermons in public became answers to whispered, private prayers. Along with black revivalists and abolitionists, like Frederick Douglass and Sojourner Truth, they awakened the conscience of America to the value of human life, equality, and justice. Revelation 8 also says that at some future point, God adds His incense and fire to these prayers, which manifest His judgment or justice on earth. And that is just what He did. In 1857, many felt a Supreme Court decision sealed the fate of enslaved African Americans. In Dred Scott v. Sandford, Supreme Court justices ruled by a 7-2 decision that slaves were the property of their masters – with no human rights and no representation in court. However, because of prayer and acts of obedience, hearts changed and eventually this demonic decree was broken over America. Revival was released and justice came, setting slaves free in America; God’s heart was comforted through prayer and action. 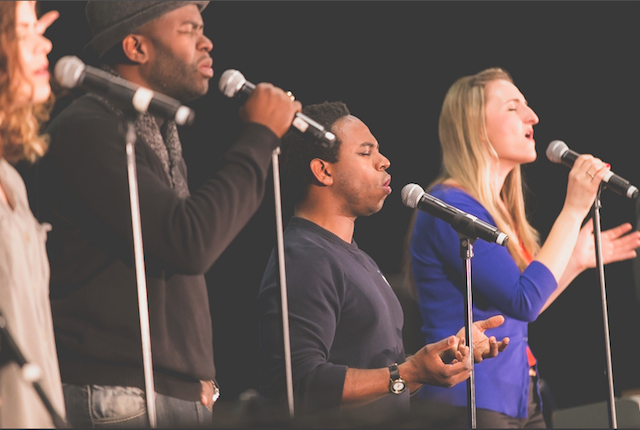 Now, our generation is being called into prayer and action today to be voices for the voiceless, releasing revival and justice in our day. 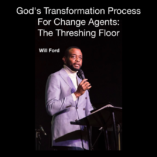 In the same way God raised up a unified remnant of Black and White during slavery and the Civil Rights Movement, He is doing the same today – connecting the past with the future, in more ways than one. 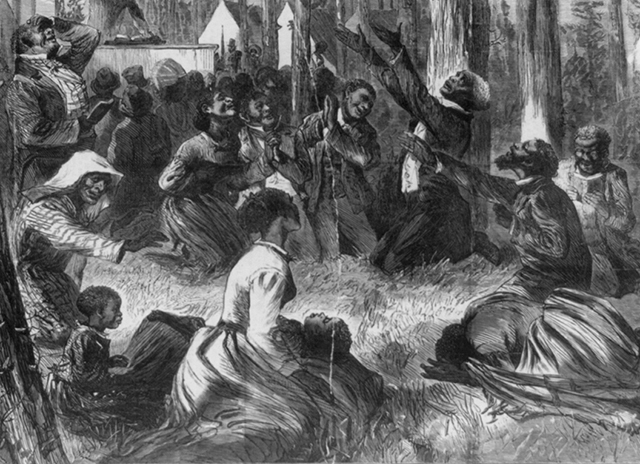 As God would have it, as my Lockett forefathers prayed for years for the ending of slavery in Lake Providence, Louisiana, God ended slavery through the Civil War – on April 6, 1865, the last shot was fired on a property called Lockett’s Farm on Sailor’s Creek. You may be aware that my friend Matt Lockett, Director of Bound4LIFE and JHOP DC, is a direct descendant of this family of Locketts. In other words, the Civil War ended in Matt’s forefathers’ front yard! 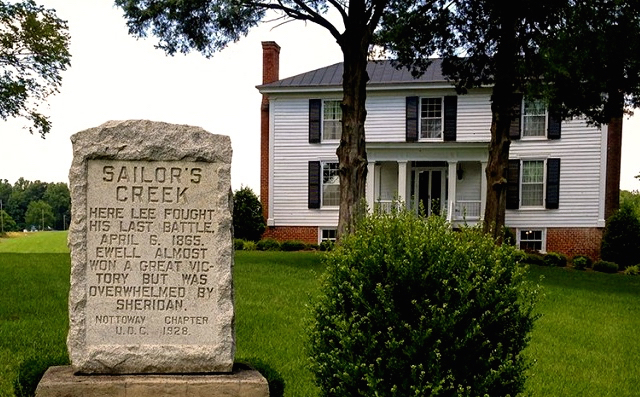 History records this farm was the site of the last battle before Confederate General Robert E. Lee surrendered three days later – on April 9, at Appomattox Court House. Just think: Secret prayers for freedom, under a kettle pot in Louisiana from my ancestors named Lockett, were in part answered at the farmhouse of slave owners in Matt’s family named Lockett, where the Civil War ended! While God was answering prayers for freedom on my family side of Locketts, he was also answering the prayers on Matt’s side of Locketts as well. 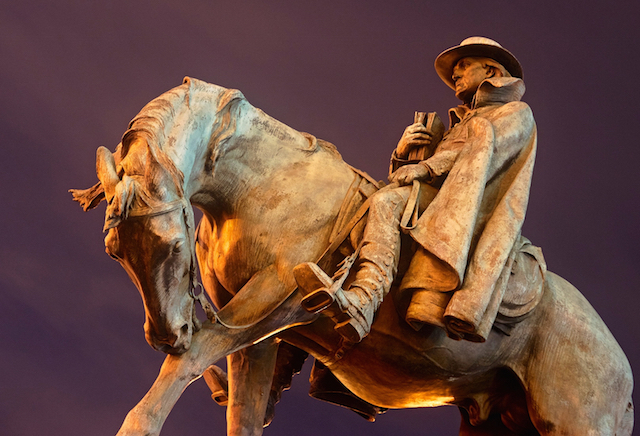 Matt noted recently that an earlier Lockett in his family line was one of Francis Asbury’s circuit riding preachers – an abolitionist who stood for freedom. Matt also has Lockett descendants who taught former slaves to read and write during the Reconstruction period. In light of what his ministry and impact is today, it is no coincidence that all this is part of Matt’s family heritage. Nor do I think it is a coincidence that for 10 years, I’ve been in a friendship with a descendant of those same Locketts – contending together for revival as a new breed of abolitionist today. 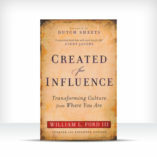 By His Providence God connected two people from Lockett families – from what we’ve discovered, most likely the same Lockett family line – uniting us to war against injustice in our day, and to cry out for awakening in our generation. You read that correctly. After over a year and a half of research, we’re certain through empirical evidence that Matt’s family of Locketts in Virginia once owned my Locketts in Louisiana – who originally came from Virginia. (The details of how we met, and the uncanny way our stories come together, can be heard in our sessions from Hilltop Conference). Though we’ve been friends and in ministry together nationally – I was one of the first Bound4LIFE board members 10 years ago – none of this was revealed to us until Matt’s discovery of Lockett’s Farm two years ago. In the words of Dr. King: we are inextricably bound for life, realizing that our destinies are tied together. Many common bonds connect us. When God gets this detailed in revelation, you can’t help but notice His signs and begin to wonder… and ponder. One question we’ve been pondering is: Why was this hidden from us until now? Perhaps it is because God knew racial tension and unrest would be where it is now in our nation. Ferguson, Missouri and other national hotspots are only manifestations of wounds that God wants to heal – and will heal – through a unified godly remnant. Another question is “What is God saying to us all in this?” I believe He is saying He is serious about us connecting with the past: to empower us with an awakening today, that will shape our nation’s future. He also wants to go deeper with the issue of the shedding of innocent blood, which is the injustice that connected Matt and I together 10 years ago. 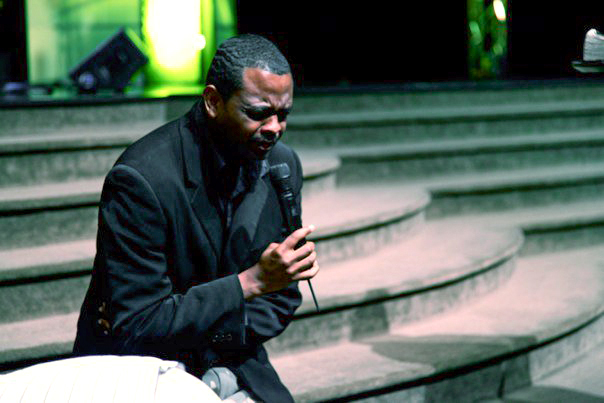 In 2001, I had an encounter while in prayer where I agonizingly wept for more than two hours in travail for our nation. While praying and seeking to find out what was happening to me, I inwardly heard the Lord say He was sharing with me His heart for America. Up to that point, I didn’t understand the racist underpinnings of eugenics that influenced slavery and abortion. After years of study and research, I’ve learned these issues are connected more than we know. Another unjust decree is upon the nation – the 1973 Supreme Court case Roe v. Wade. In similar form as Dred Scott, the Court said that unborn babies are the property of their mothers – with no human rights, and no representation in court. Just as Dred Scott, this decision was passed 7 to 2. The similarities are eerie. In 1857, when people were outraged about the decision, Chief Justice Taney basically said that if people didn’t like slavery, they didn’t have to participate in it; they had no right to force morality on anyone else. In 1973, when people were outraged over Roe v. Wade, Justice Blackmun basically said Americans didn’t have to participate in abortion; we have no right to impose morality on someone else. Same arguments, different day. Both are unjust and we have not learned our lessons from history. Will ending abortion in America fix the ills in the black community (crime, murder, drug addiction, economic disparity, etc.)? Not entirely, but can we truly solve any problem in our community while abortion still exists as it is? The answers, of course, lie in the church of Jesus Christ. The church was the answer during slavery and the civil rights movement. And a new remnant of Christians of all races, working together on this issue, must pray and be voices for the voiceless in our day: the unborn. In 2005, Matt heard me speak for the first time about a new revival and justice movement which included the unborn, and we’ve been praying for a revival that will end abortion ever since. Matt and I represent two men with Lockett names; and, like a “locket,” we hold memories. It’s interesting how lockets hold memories, yet nothing is revealed until its heart-shaped frame is opened up to reveal the precious pictures and memories inside. Most of the time, they open easily; but the older they get, it takes a little effort to pry them open. In similar fashion, I believe Matt’s silent prayers in front of the Supreme Court, for 10 years, remind God of silent kettle prayers, and pry open God’s heart. 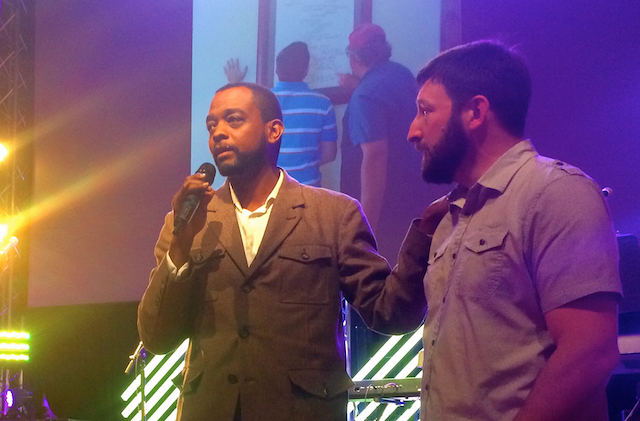 As a result, God began sharing with us His “Lockett” history of memories: memories of not only kettle prayer warriors, but also revivalist, abolitionist and educators who moved His heart. In other words, Matt and I firmly believe that God isn’t finished with America. We all have unfinished business. God wants to awaken and heal our nation deeper than we can even imagine. The angels of Revelation 8 are standing at attention, waiting for us to add our prayers as incense to the cloud of witnesses that have gone before us. No one thought slavery would end in America, but they forget about the praying remnant of “cooking pot” intercessors and white abolitionists, who reminded God of how He delivered Israel from Egypt. The prayers of this godly remnant broke the power of Dred Scott, and slavery ended in America. The same God who broke the power of that unjust decree can break the power of Roe v. Wade too, and heal other wounds in our nation. Truly, the commitment of our fathers has become the calling of our time. This generation has been called for such a time as this, to shift the courts in America. This is a powerful article. Thank you for this beautiful history of the kettle. You filled in a lot of questions about this prayer movement during slavery. I pray God pours His blessings on your work of reconciliation and healing in America. I am deeply impacted! Thank you for sharing this historical information. It touches my heart to learn how our God intervened in our nation and how he used the prayers of the saints to turn our nation around. May He have mercy on us once again, and pour those bowls out, if we will be faithful to fill them! I love this story and am always amazed at the awesomeness of our God. Wow! I just finished reading your story about the black pot. I am a believer in all races uniting in prayer for the common good of our country — we need to save America. May God continue to bless you and your ministry. Thank you! My heart has been breaking over our country and abortion. I will be praying and giving all I have to stop the shedding of innocent blood in America!!!!! Lord please give us breakthrough. This article brings to the forefront what will heal our land. I Thank God for His timing is Divine. No one but The Father could have brought you All together for such a time as this. I will continue to givehim15. This information give me hope. Prayer will be a priority for me. 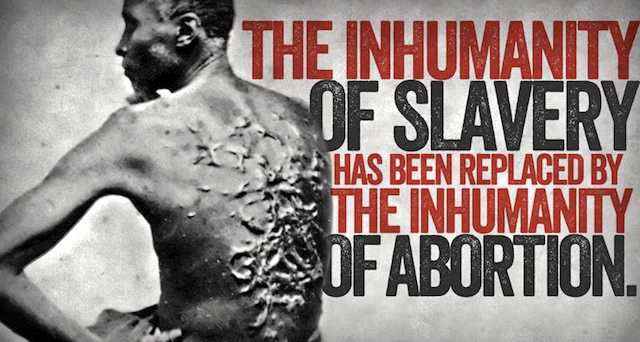 If I heard the whispered prayers of slaves underneath cooking pots, how much more do I hear the silent screams of babies being aborted in America. She earned a degree in social work from the University of Central Florida and graduated from TheCall Institute at the International House of Prayer University in Kansas City. Joy!!! So good to hear from you! Thank you so much for reaching out. 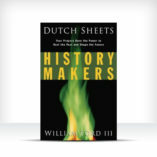 I was so fascinated reading this and learning about your story and that of your ancestors and the Lockett family connection, how it all began, and led to the events up to this point in history. Truly, though there was an end to slavery, there is no end yet to abortion, and we can only keep praying, believing and fighting for the voiceless and the unjust practice of shedding more innocent blood, killing the unborn, and the continued hate and prejudice that continues. But, through it all we can see hearts changed and can hope that the heart of this great country, the U.S.A. will change with it and one day know redemption and grace. In doing the ancestry for both my paternal family who were German immigrants from Russia I leaned they had a Jewish connection back in their line before their conversion to the Lutheran faith. In the ancestry research of my husband whose family were from Kentucky and Tennessee we learned that back through his maternal family line there were slave owners and from that family line came descendants born from those relationships between the owners and their slaves. 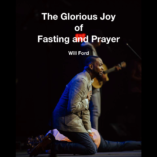 Though the history of all our stories is so fascinating it is even more rewarding to know of the changed hearts born and won into God’s Kingdom with the prayers of those ancestors such as yours. Thank you for sharing your story. What an awesome legacy. We attend Rez. church in Loveland, CO. and plan to hear you speak on March 7th. We can’t wait. God bless. Will, it is so moving to learn of the continuing unfolding of your multi-generational story, intriquately intertwined with the stories of injustice so intertwined with healing prayers for our nations past, present and the hopeful future overturn of legal abortion. It was a very moving privilege to have been there when I first heard you share your family’s kettle story about 14 years ago and to watch in awe how the Lord has put so many of the amazing historic and relational pieces of the puzzle together that are so valuable for “such a time as this”. 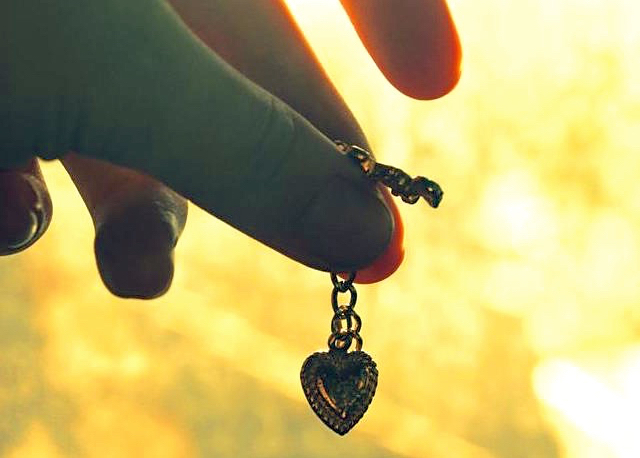 I love the symbolism of the Lockett name, how lockets are usually worn as an endearing symbol of love, and God’s love so powerfully illustrated in your story. May our Lord carry you and Matt’s story across the nation by the mighty wind of the Holy Spirit for increasing intercession and to once and for all time, breakdown the the racial walls of offense and injustice with God’s love for healing and reconciliation. Abundant Blessings. Blessings to you JoBeth! Thanks so much for your support and prayers over the years!